Causalgia is one of the types of syndrome that is related to the burning pain in hands and the limbs. A patient suffering from the disease may have a burning pain. The pain can be worse and can get more with even with a mild stimuli. There are two basic types of this disease, first one is a major type and the second one is minor. The disease is connected to the central nervous system and the spinal cord. The peripheral nervous system is actually responsible for the connectivity between the limbs and spinal cord. In this disease there is some kind of dysregulation of the central nervous system and autonomic nervous system. Causalgia can be termed as a type of chronic pain that can be due to the damage done to the nerves present in the body. When these nerves are disconnected, the pain can generally start. The patients suffering from the pain can have various issues; these issues are mostly related to the burning inside the limbs and the arms. Most of the cases have found to be having a hypersensitivity issue. In this problem the nerves that carry the signals are actually damaged due to co-ordination between different nerves and autonomic nervous system becomes improper and patient feel tingling, burning, numbness and pain in extremities. There are various symptoms that can identify that a patient is suffering from Causalgia. In most of the cases it is found that that the person suffering from the disease will have severe pain. The pain can be mild but can gradually increase after the initial injury. There are some sensitivity issues that can represent the cases e.g there is swelling in the limbs and the arms. The skin can change a bit when there is an issue. There are some other symptoms as well; likewise there can be dry and scaly skin or still joints, tapering fingers and ridged nails. Causalgia is majorly caused due to the peripheral nerve injuries. In the disease, there is a disruption in the neural system of the body. There are multiple nerves that connect the spinal cord to the limbs and the arms. 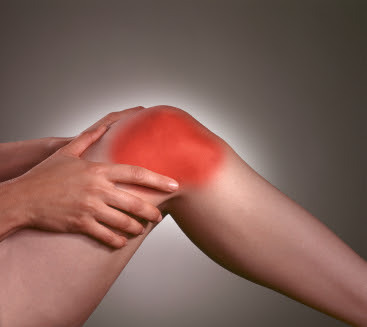 The pain can gradually increase after the injury and can get worse. The disease can be caused due to brachial plexus injuries. In such type of the injuries there is a severe or mild pain between the neck and the arm. There neural signals are not properly transmitted between the spinal cord and the limbs. As a result there can be muscular and the joint pain. There are multiple treatments that can be applied to treat Causalgia. Sympathetic block can be effective for some of the patients in which there are anesthetic injections given. These injections can block the signals from the sympathetic nervous system; it can give relief to the patients. Another method is the surgical method in which there is a surgery done in order to block the signals coming from the nerves. There are some other techniques that can also be used; these techniques are anterior thoracic or thoracic endoscopy. Sometimes the patients are also suggested to have percutaneous radiofrequency. Using these techniques complications can be reduced to an extent.